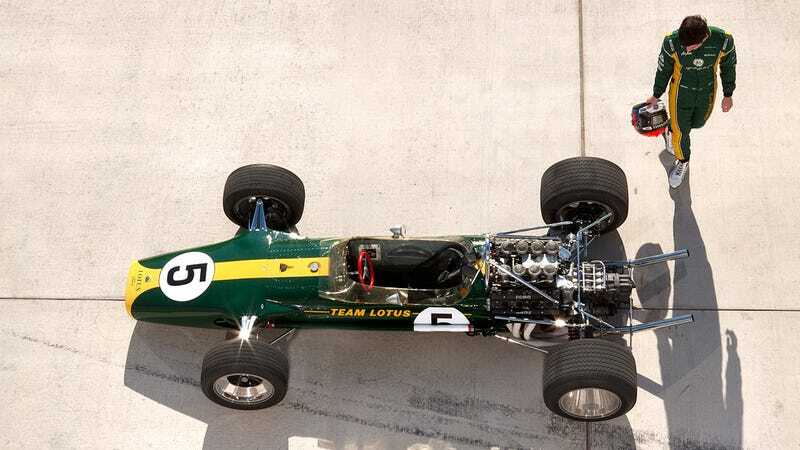 The centerpiece of our May 2013 relaunch issue is ex-Jalop John Krewson's cover story, Fast, Present, Future, in which Alexander Rossi drives the forever racecar, Jim Clark's iconic 1967 Lotus 49, and pits it against America's ultimate weapon, the Corvette ZR1, in Austin at Circuit of the Americas. Now we're ready to start giving you the stuff you can't read in the magazine: like Rossi talking about what that first encounter with the 49 was like. The video is up at Road & Track.